The TMX Group, operator of the Toronto Stock Exchange and the Toronto Venture Exchange, has agreed to merge with the London Stock Exchange Group. "The merger will create a world-leading organization and is unanimously being recommended by the boards of both LSEG and TMX," the TMX Group said in a statement. "This is great news," Xavier Rolet, the London Stock Exchange Group CEO, said. "Great news for Canada and all its provinces." Shares in TMX Group gained almost 10 per cent, to $44.25, in Toronto on Wednesday in reaction to the news. Shares in LSEG were up by almost as much in London. The merger would create the world's biggest stock exchange, with more than 6,000 companies traded, including the vast majority of the world's publicly traded energy and resource companies. POV: What do you think about the planned TSX merger? The TMX Group is valued at $2.99 billion, while the London group's value is around $3.25 billion. The combined transatlantic group would be jointly headquartered in London and Toronto. Any merger or takeover of a Canadian company worth more than $299 million can be subject to government approval under the Investment Canada Act. 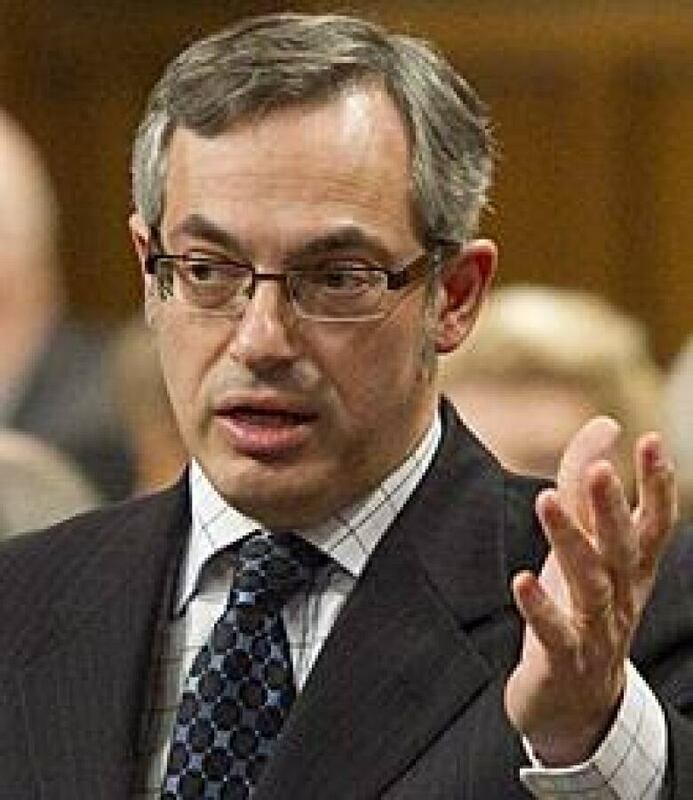 Speaking to reporters in Ottawa on Wednesday, Industry Minister Tony Clement was evasive about what Ottawa's reaction to the deal would be. "There are six factors under Section 20 of the Investment Canada Act where one determines whether that test is met or not," Clement said. "We are not even at that stage. We are at the stage of determining whether the provisions of the act apply in this particular case." He also declined to offer a timeframe for how quickly a decision might be made. "I don't want to put an exact time on it, but I have a lot of faith in my officials that they can give me some advice sooner rather than later." Ottawa recently invoked the act to stop BHP Billiton's attempted $40-billion takeover of Potash Corporation of Saskatchewan. The stock exchange link-up must also be approved by regulators, and TMX would have to change a key rule that prevents any one person or company owning more than 10 per cent of the company. Quebec's finance minister, Raymond Bachand, said Wednesday that the province's regulator, Autorité des marchés financiers, would need to approve the deal since it has jurisdiction over the TSX's large derivatives market, which is based in Montreal. "The dangers that are always in global consolidations is that your centre of expertise is diluted and you lose jobs," he said, adding that the AMF would hold its own hearings on the matter. Rolet would be CEO of the new merged group, while Thomas Kloet, TMX chief executive, would be president. "We are creating an international group with deep expertise, undeniable leadership in key sectors and the ability to compete and win on the global stage," Kloet said. "Canadian customers will benefit from access to one of the world's deepest capital pools while European issuers will have an effective gateway to North American financial markets." On a global scale, "Toronto was being marginalized," said Ian Nakamoto, director of research of MacDougall, MacDougall & MacTier Inc.
"Them bulking up with London, which everybody knows, will mean more companies have access to European funds. It's like advertising." Kloet told analysts on a conference call Wednesday morning he was confident the deal would provide a "strong net benefit" to Canada. But that view is not universal. "It's a bad deal for Canada," NDP finance critic Thomas Mulcair said, citing the risk that Canada could lose some valuable mining business. "The biggest concern is that Canadians would lose control of a key sector of the economy." "I think it's very different from Potash, because with the royalty regime, Potash was clearly a huge revenue generator for Saskatchewan," he said. "TMX is a $3-billion company in Ontario. I don't know the details, but I doubt that's a major revenue generator for the government. "I expect the deal will go through, but we'll see where the nationalistic fervour goes in the next few weeks," Nakamoto said. The TSX is still the world's dominant exchange for resource companies, but more than a third of the companies listed on London's main index are mining firms. TMX consolidated virtually all stock trading in Canada by buying up rival exchanges in Vancouver and Montreal. But in recent years, alternative trading systems such as Omega, MATCH Now, Pure Trading, Instinet, Chi-X and most recently Alpha Group have eaten into the TSX's dominance. After holding a virtual monopoly, only 64 per cent of stock transactions in Canada happened over TSX's systems last month. As a result, the world's major stock exchanges have looked to each other for mergers in an attempt to maintain their dominance. A report in the Financial Times on Wednesday suggested that shares in the New York Stock Exchange and Germany's Deutsche Borse have been suspended as the NYSE was in advanced stages of discussions to take over its German rival. The New York Stock Exchange merged with Euronext in a complex transaction in 2006. At that time, the Nasdaq attempted to purchase the London Stock Exchange (LSE), and there is speculation that the NYSE might still have an interest in acquiring the TSX. Under the terms of the current agreement, TMX shareholders would receive 2.9963 LSEG ordinary shares for each TMX share. LSEG shareholders would own 55 per cent and TMX shareholders would own 45 per cent of the enlarged share capital of LSEG, the holding company of the new merged group, which would be renamed after closing. 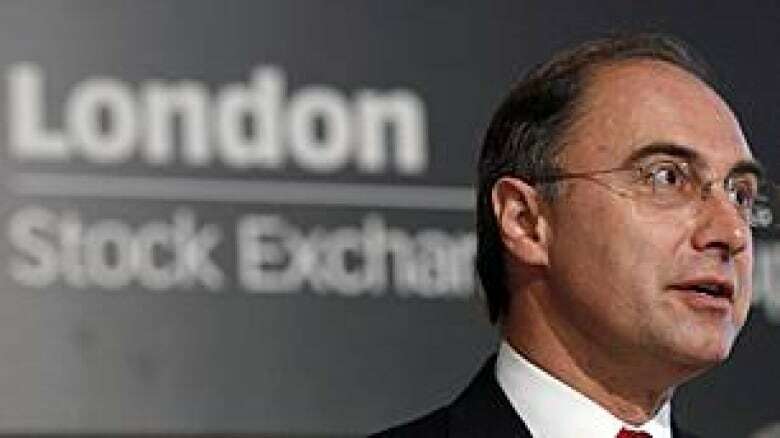 The two companies pitched the tie-up as a "merger of equals," although the London exchange will get eight of 15 seats on the new entity's board. "They're calling it a merger from an optics point of view," Nakamoto said. "But the London exchange is bigger and worth more. If you were an LSE shareholder, would you accept a smaller number of seats? Probably not." Tom Caldwell, chairman of Caldwell Financial and a past governor of the Toronto Stock Exchange, welcomed the news. He told CBC's The Lang & O'Leary Exchange on Tuesday that a merger would give a listed company in Toronto access to an easy market listing in London. "That would be really outstanding because I could bring in more investors from Europe, the Middle East, etcetera." Caldwell also said the deal would enable London to get into the derivatives business. TMX Group also operates the Montreal Exchange and the Natural Gas Exchange, and owns Shorcan Brokers Ltd., a fixed income inter-dealer broker, Equicom, an investor relations subsidiary, and a majority stake in the Boston Options Exchange. In addition to the London trading market, London Stock Exchange Group operates the Italian stock exchange Borsa Italiana and has a stake in FTSE International Ltd., which manages over 100,000 equity, bond and hedge fund indexes.